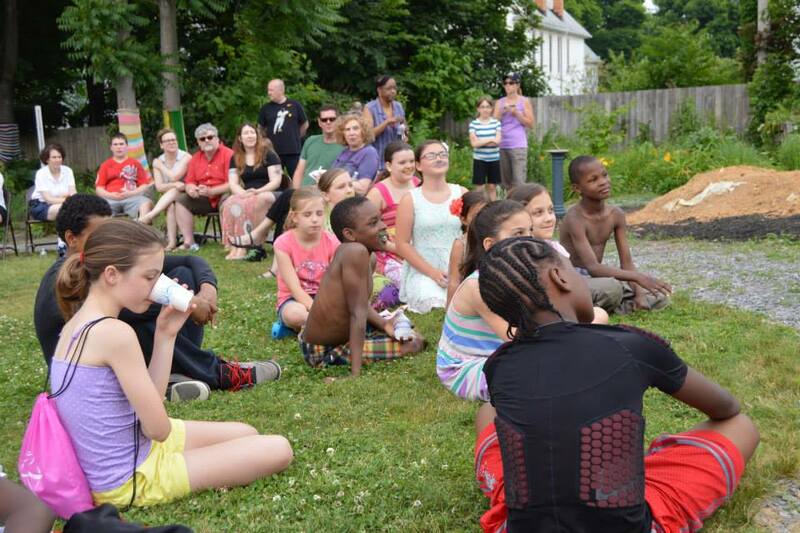 Groundwork Buffalo had a vision to strengthen the relationship between schools and the neighborhoods that surround them, and they wanted to use a garden to do it. 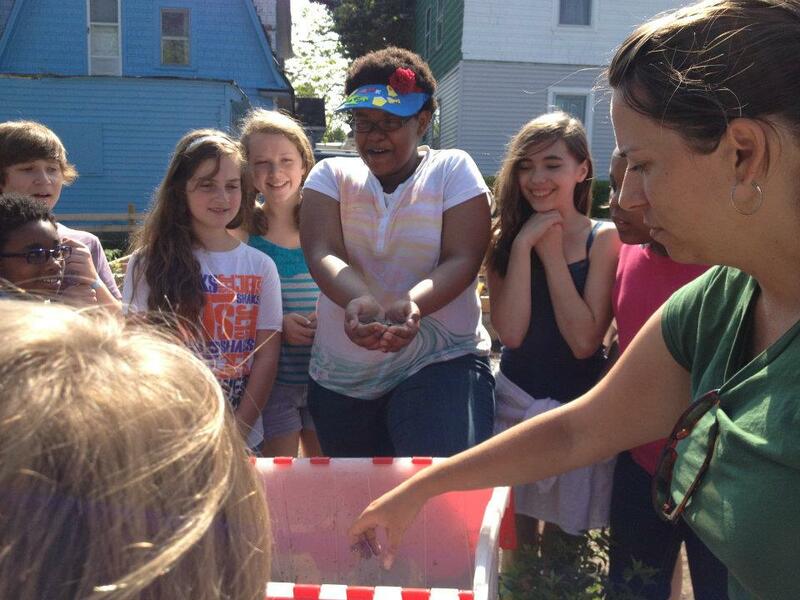 Buffalo’s City Honors School, located on the city’s East Side, is regularly ranked among the top 20 in Newsweek’s annual ranking of US Public Schools. 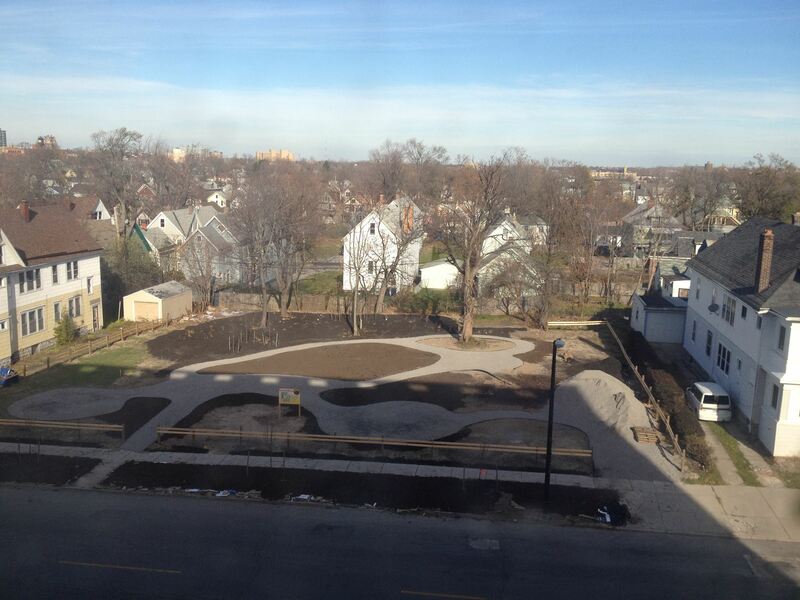 With four vacant lots across the street from the school and a committed principal and faculty, they were the right fit to bring Groundwork Buffalo’s collaborative vision to life. 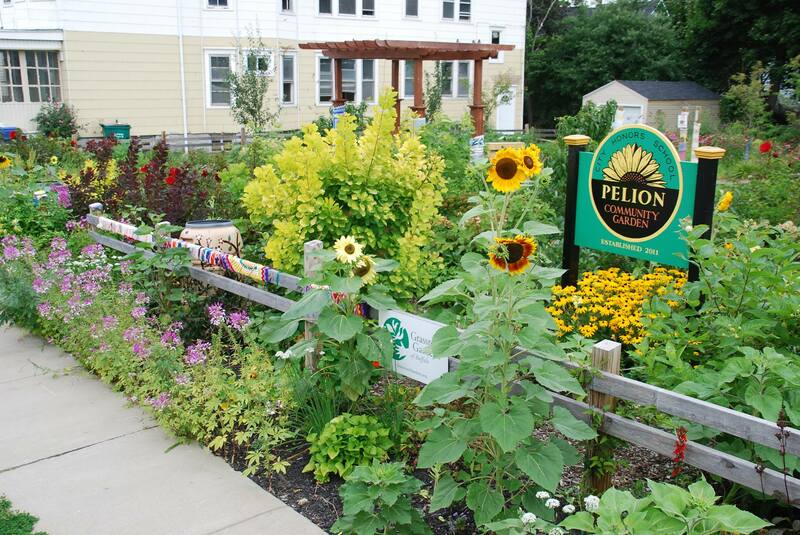 Pelion Community Gardens, as it is known today, was named by students to honor Mount Pelion, the Ancient Greek home of their beloved mascot, the Centaur. But before the garden became a lush oasis anchoring the neighborhood, it was a collection of parcels with soil so poor few weeds even grew. 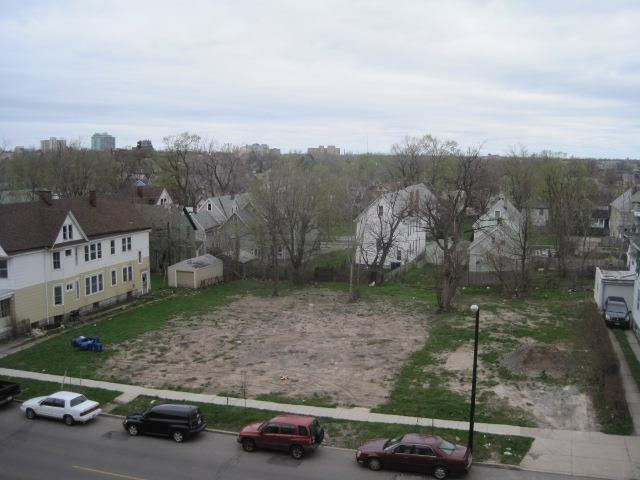 Remnants of rear yard chain link fences and porch stoops dotted the site. But its location directly across the street from the neighborhood anchor of the school, it made a perfect location to begin the experiment of connecting students and residents. 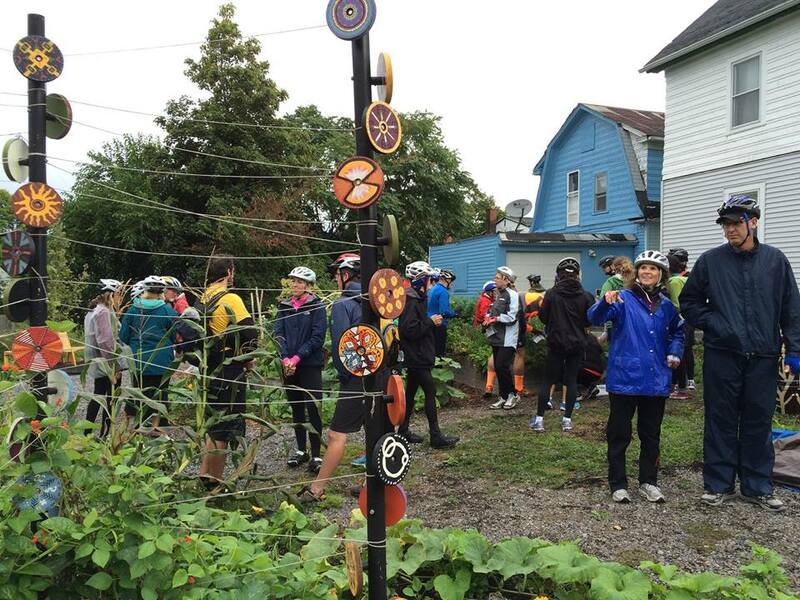 Groundwork and City Honors saw sustainability, food, science and stewardship as the link between the garden and the neighborhood. Through design charrettes with students, faculty and residents the garden emerged as a living classroom that would showcase a variety of sustainable design best practices such as permeable pavements, rainwater harvesting and composting, with teaching and planting areas to support health, nutrition, indigenous peoples and urban habitat education. A tenant of Groundwork Buffalo’s mission is to train neighborhood youth for skilled labor professions such as site surveying and carpentry, and the garden project gave them the perfect opportunity to empower both students of City Honors as well as students residing in the neighborhood through numerous volunteer build days. 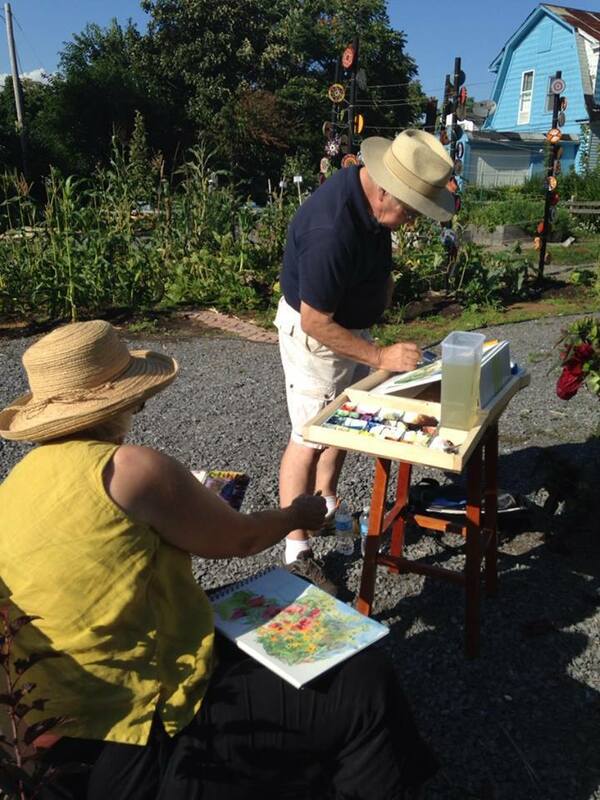 Today the garden hosts daily classroom activities, as well as neighborhood workshops, movie nights, plein air painting days, and cooking demonstrations. 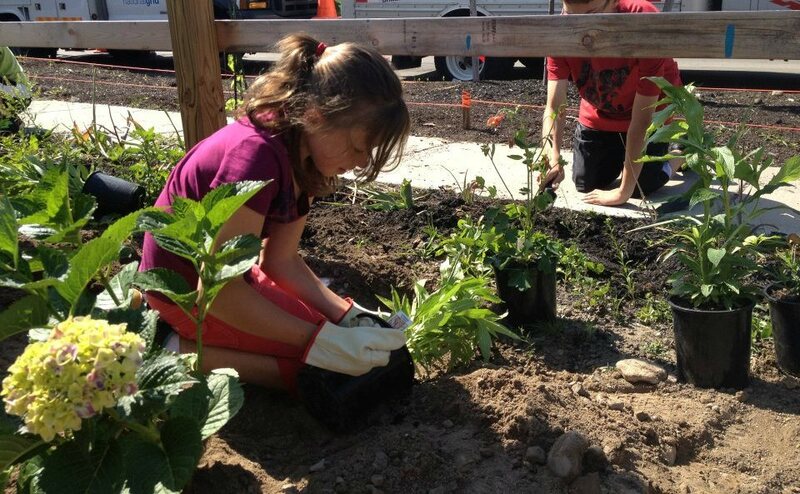 Several planting bed areas provide opportunities for school children and neighborhood residents to plant and tend edible plants throughout the growing season. 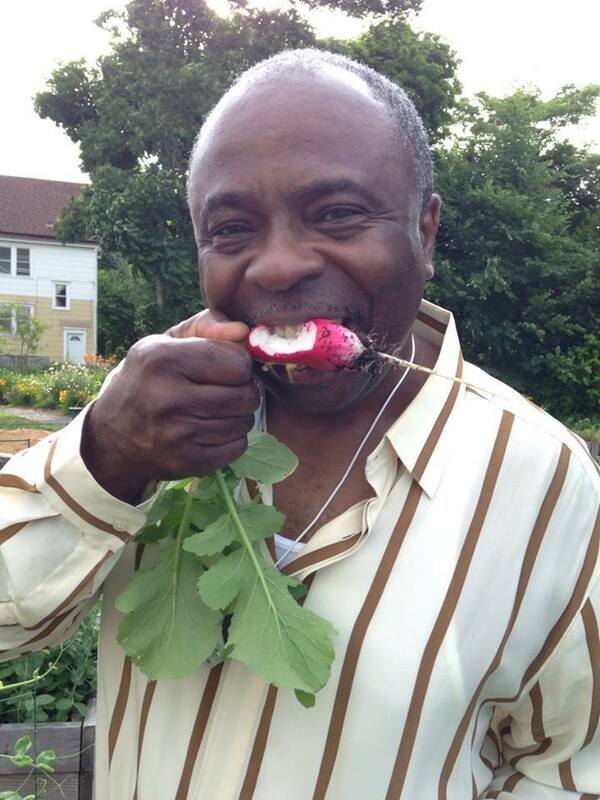 The garden boasts that more than 50% of the plants are edible and plays host to numerous festivals each year celebrating strawberries, hackberries and the indigenous Seneca Indian “Three Sisters” of corn, squash and beans all tended by neighborhood residents and school kids. 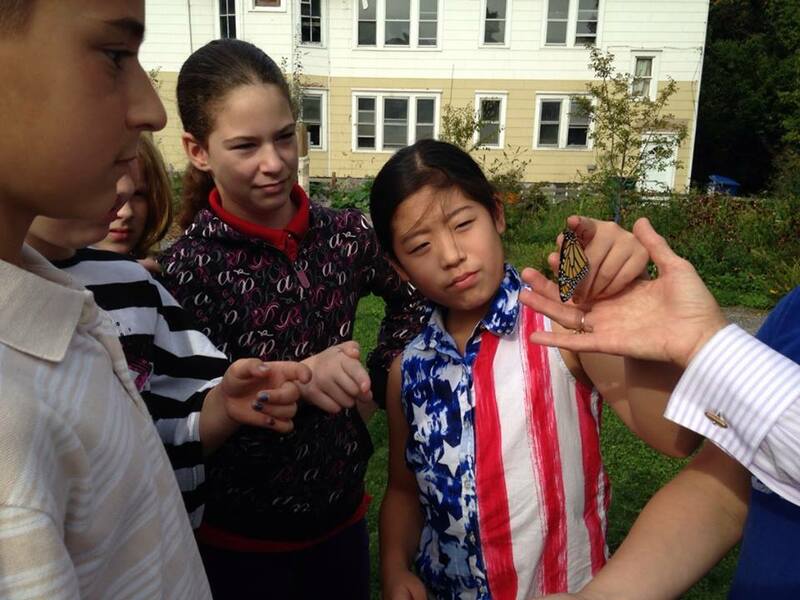 Because this was a new venture with the intent for the School to maintain a greenspace beyond the school property and to interact directly with the neighborhood, it was important to communicate with the community. The team hosted several design charrettes and individual stakeholder meetings as part of the design process. The final design provided for a variety of teaching spaces and planting beds to support daily classroom space as well as specific community education programs. 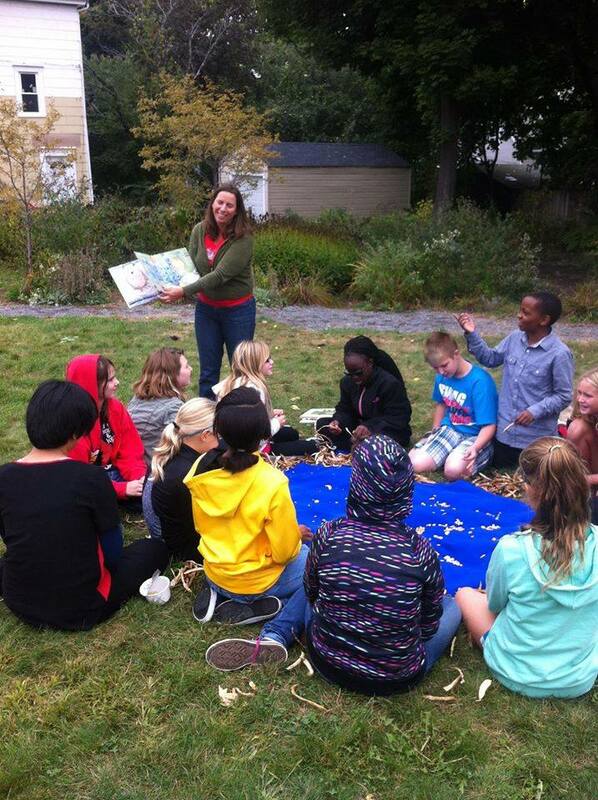 Designed around a NYS Science curriculum, the garden provides four break-out teaching areas with shrubs and perennials supporting curriculum for health, nutrition, indigenous peoples and urban habitat. 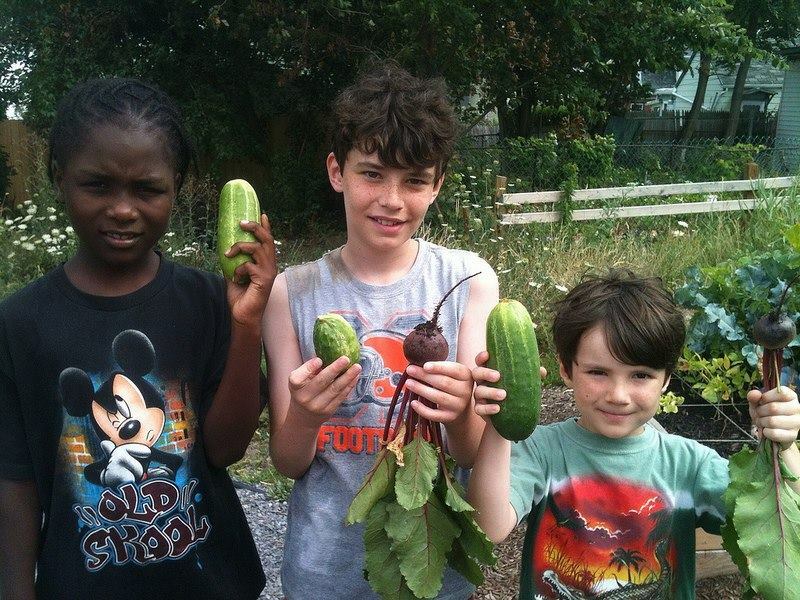 The garden’s overwhelming success has come from the School’s dedication to a full time garden leader who integrates the aspects of the garden into curriculum while also supporting integrated school and community programming.